Not long now until our Dad v. Food Burger Eating Contest. 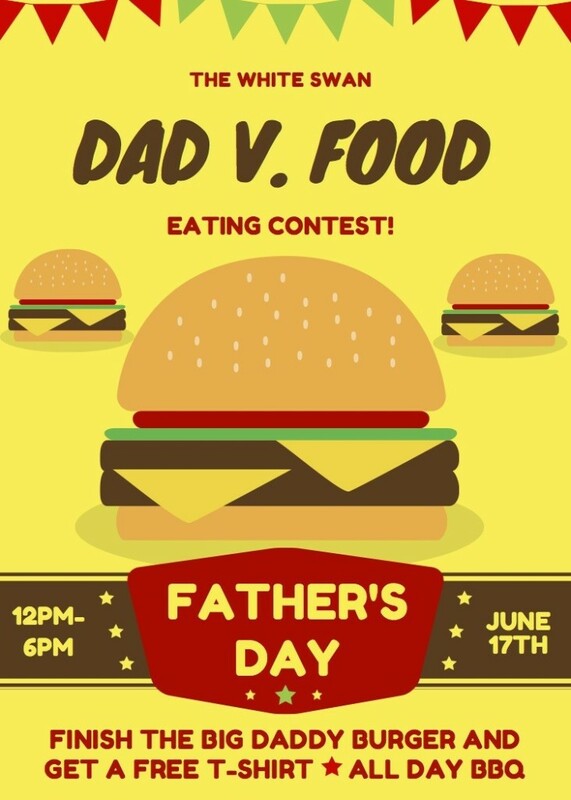 Finish the Big Daddy Burger (meat or veggie) and get a free t-shirt. Fathers Day from midday.